The preparations for the largest ever Flower Festival held in the Cathedral are now underway. The event, which celebrates the 50th anniversaries of both the Cathedral and the National Association of Flower Arranging Societies (NAFAS) South Midlands Area, will, through each installation, commemorate the involvement of the many artists and craftsmen who made the Cathedral and the people who have contributed to its life over the last 50 years. 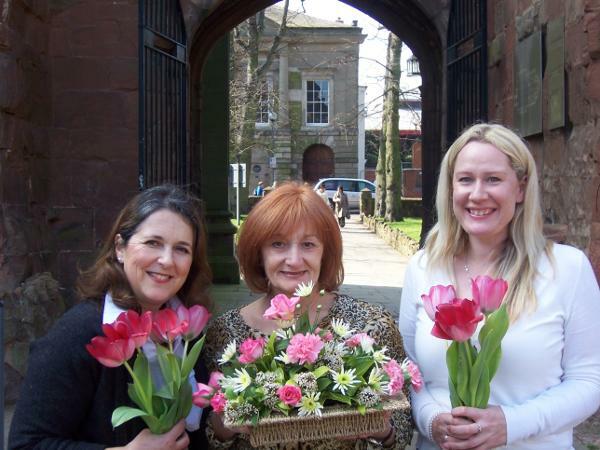 The Flower Festival, whose principal supporter is the Coventry Building Society, is hosted by the Cathedral from Saturday 5th May to Tuesday 8th May. Tickets are available to purchase from the Cathedral or online at www.coventrycathedral.org.uk Tickets cost £10. Normal opening hours apply.